We love the fabrics that Pat Bravo and the AGF team put out and we know you do too! The hand and drape of the fabric is second to none and makes great garments and quilts! 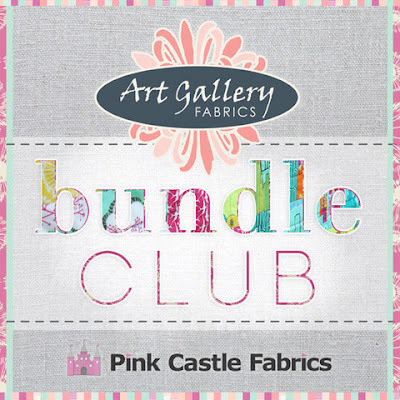 With the Pink Castle Fabrics monthly club, you can choose Fat Quarter (18" x 22") or Half Yard (18" x 44") cuts of 20 prints, a complete collection from Art Gallery Fabrics! This month we are adding in some of the great Art Gallery Elements to coordinate with all the monthly collections. These are perfect to reorder and are a part of my stash personally as well as a staple in the shop. We are excited about the collections that are coming this Summer and Fall as well! Here is the line up for months to come!